We built an iPad app to gamify tough neural science concepts to increase student-to-student collaboration and retention in the classroom. Even though supplying classrooms with modern teaching aids like iPads has become routine, educators struggle applying the tools effectively. 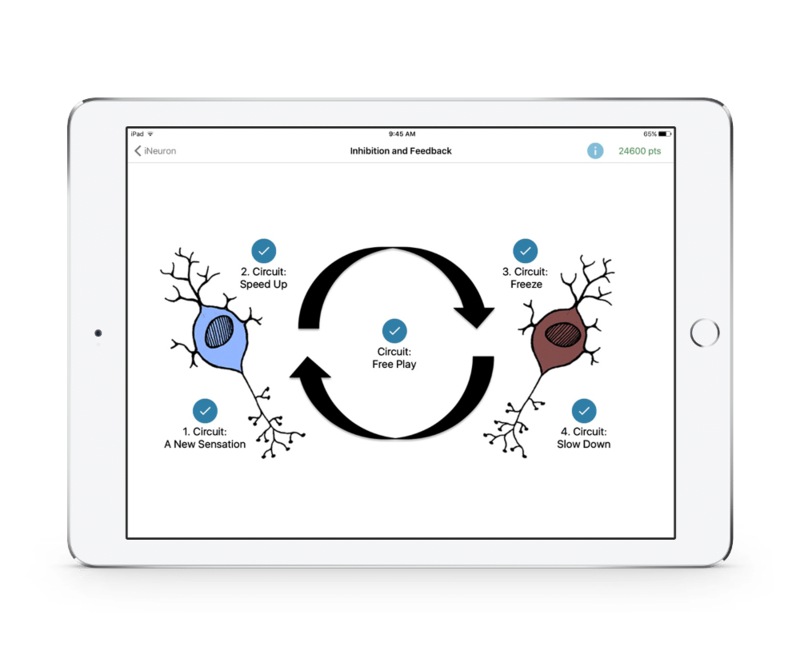 Adventium Labs and researchers from the University of Minnesota hypothesized that student knowledge retention could be improved when learning neuroscience if the technology facilitated more student-to-student collaboration and meaningful engagement with technology. Technology Lead and project advocate Martin Michalowski shares how the solution we built enabled the spin-off and creation of education startup Andamio Games. 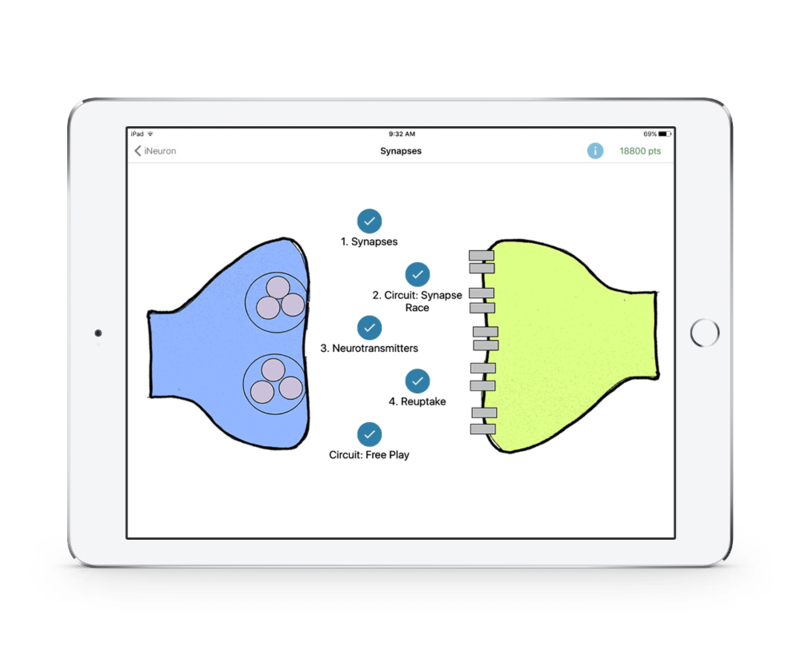 We worked with Adventium Labs to create iNeuron, a collaborative app for iPads designed to teach high school students neuroscience, neural physiology, functionality and neurological disorders via an interactive game. 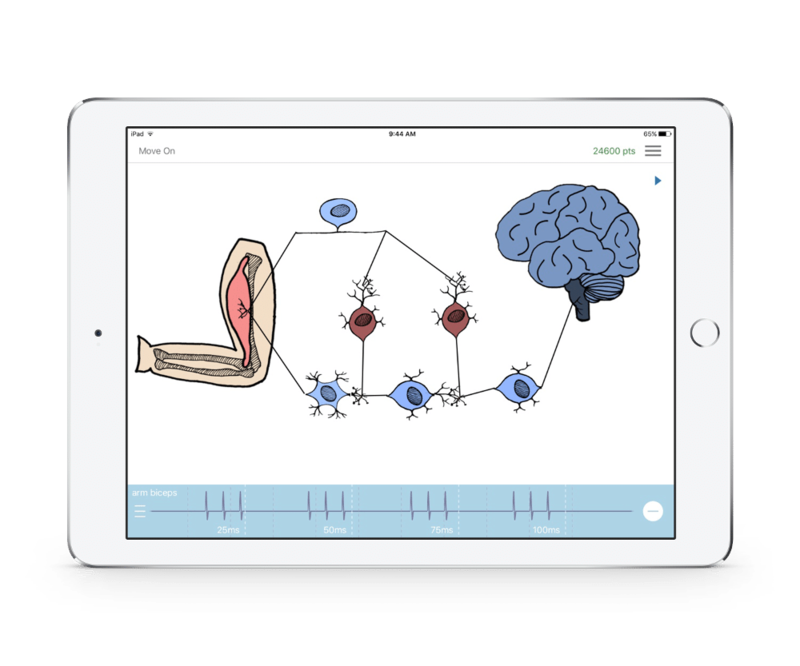 The app’s distributed learning process allows students to navigate through expertly-designed instruction at their own pace. Teachers can monitor class and individual progress through iNeuron using the partner Andamio Dashboard app. Educators know that the social environment where learning occurs plays an important role in motivating student achievement. iNeuron allows students or teacher hosts to initiate group play sessions between two or more students. During play, the team members work together to demonstrate understanding by digitally building and interacting with a variety of neural connections. Players earn points for correct answers and compete as individuals or as teams. Once players are confident the pieces have been correctly sequenced, a player taps to fire the connection and the second player taps to receive it, confirming and reinforcing each other’s learning. 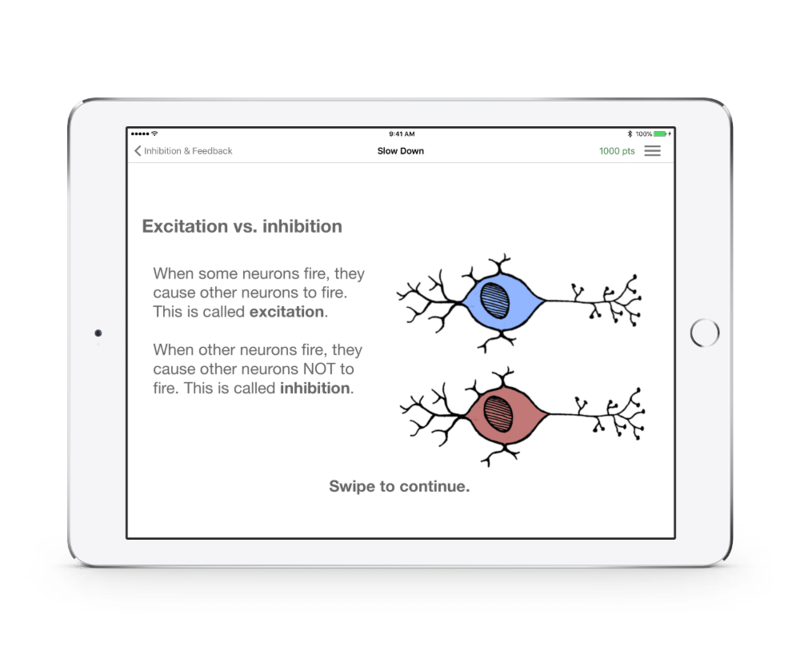 The app includes a variety of interactive challenges, a neuron simulator and a content library delivered in increasing levels of difficulty. Teachers interested in creating their own curricula needed a straightforward way to add additional material to the existing app. So an authoring tool was built to assemble educational content from everyday inputs like Excel and PowerPoint, which then translates the content (text, animations and transitions) to XML for the app. Robust education tools can’t be dependent on internet access. 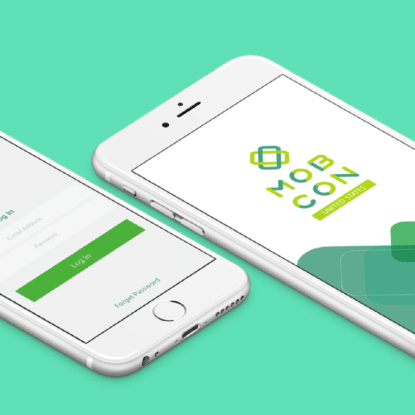 Because the app records information to the dashboard using only local network connections, educators can access the results regardless of connection. Teachers can then use this record to assess how students are progressing and identify persisting patterns in student interaction. The development plan was built around two core considerations. First, create and test the prototype to demonstrate the hypothesis was feasible. Second, create a product that as few as 10 or as many as 1,000 people may use at a given time. iNeuron revolutionizes how students and teachers interact in the classroom. The teacher dashboard allows educators to personalize a lesson plan and dynamically populate the student app based on chosen settings. Using the dashboard teachers can readily identify the questions giving students the most trouble. If results are significant enough to warrant more explanation, teachers can pause all game play to re-explain a concept. Teachers can generate three types of reports through the dashboard: progress by student, progress by student body and progress per question. 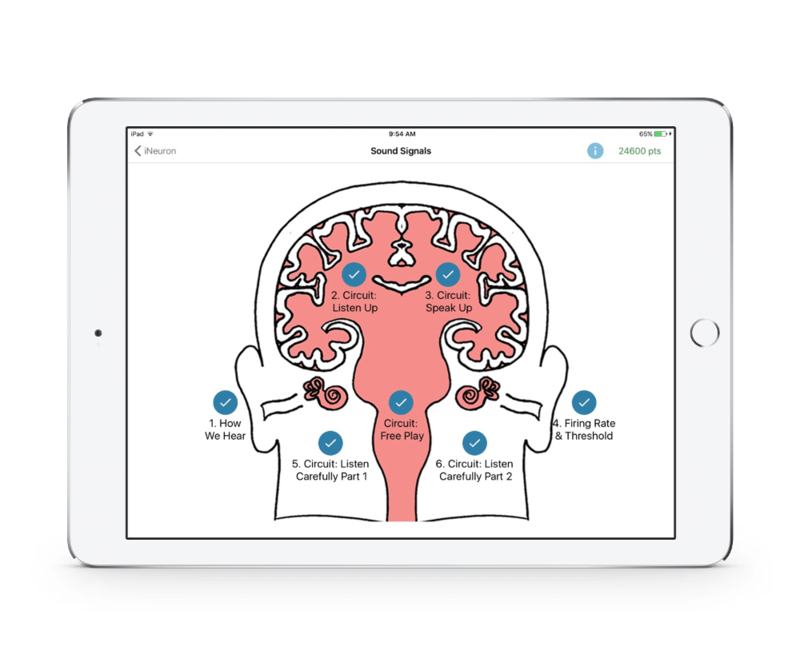 If students are struggling, they can alert their teacher through the app. They are added to a queue in the dashboard allowing teachers to time manage assisting the students who need it. The iNeuron product has been downloaded 100,000 times. 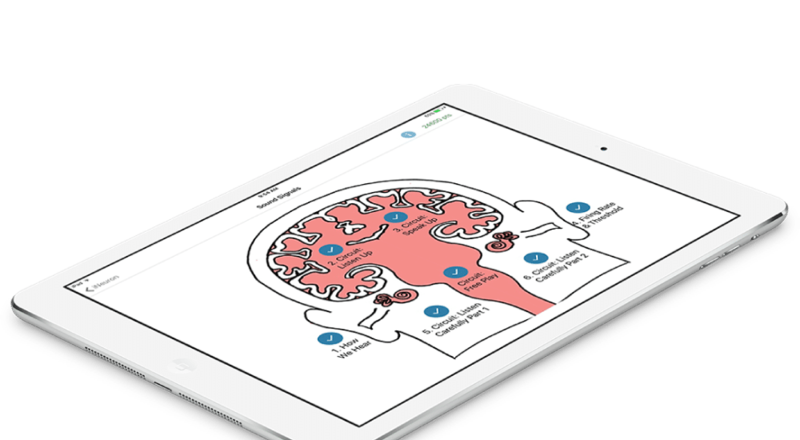 The success of iNeuron in the classroom and the App Store convinced Adventium Labs to spin off an educational technology company called Andamio Games. 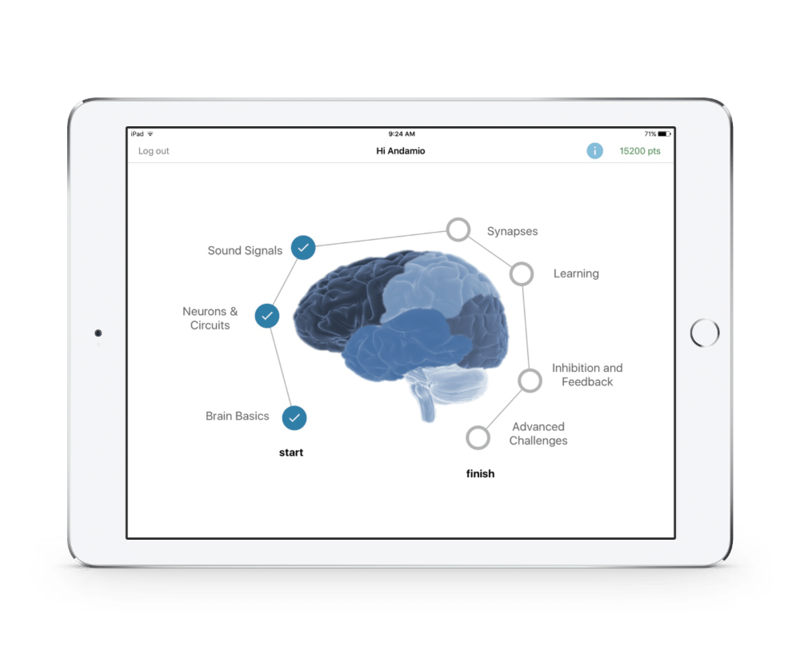 They have released the first version of iNeuron as well as the Andamio Dashboard, with plans to continue building out content and exploring other applications for the gamified learning system.